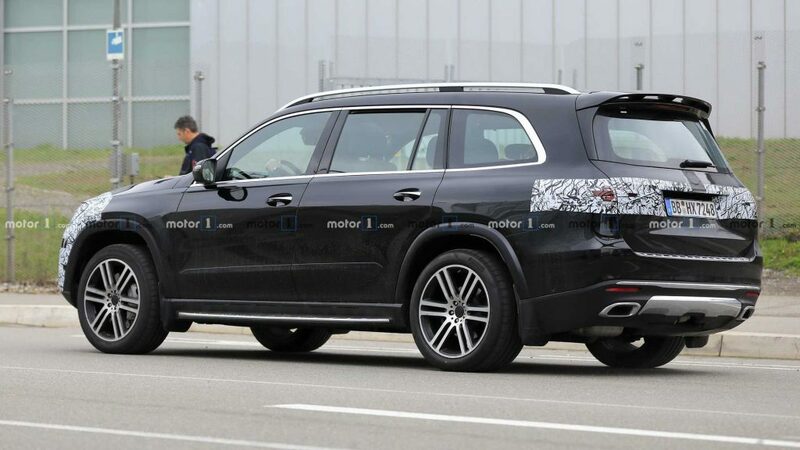 We’ll finally get to experience the full impact of the new Mercedes-Benz GLS-Class during its reveal at the New York Auto Show next week but that didn’t stop the German carmaker from testing it on the road with as less cover as possible. 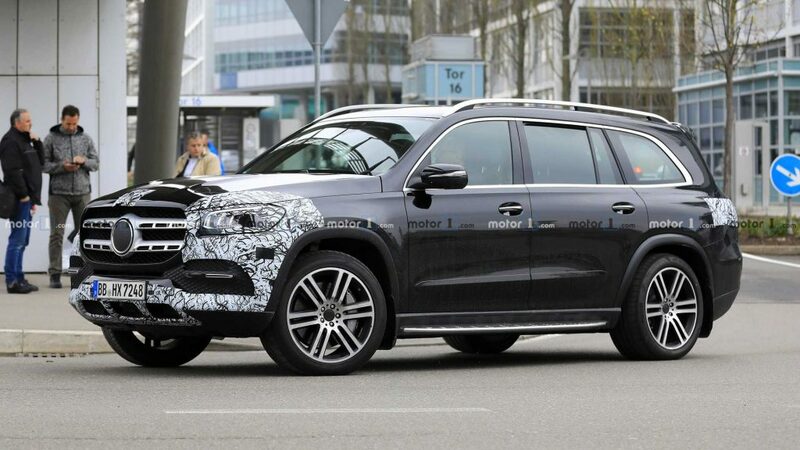 We already know a lot of things about the new GLS-Class SUV, thanks to previous sightings while being tested on the road with other new Mercedes cars. 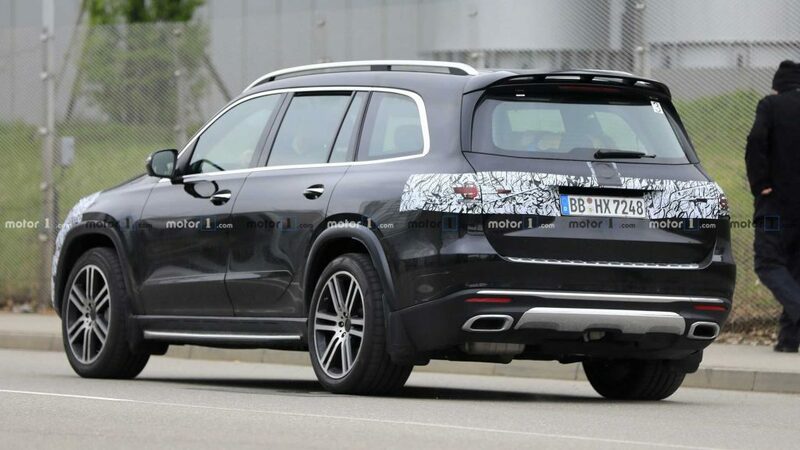 These latest spy photos showed more details of the SUV’s front and rear ends, though the minor camo wrap still hides most of the lighting designs. 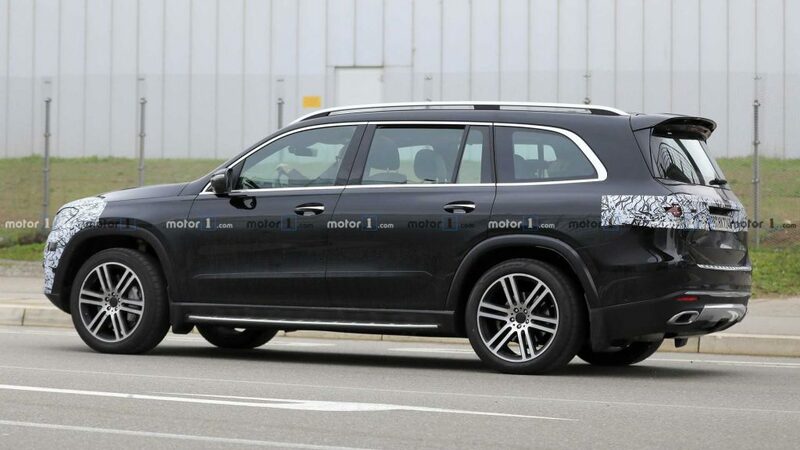 This set of photos came after a couple of days since we sighted the GLS-Class on the road with other Mercedes prototypes. 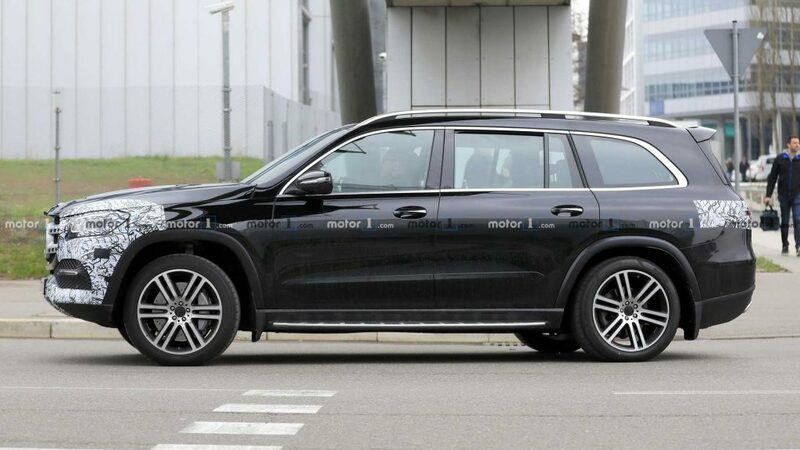 It seems the German automaker is not too keen concealing the details of this new SUV, which is intended to rival the BMW X7. 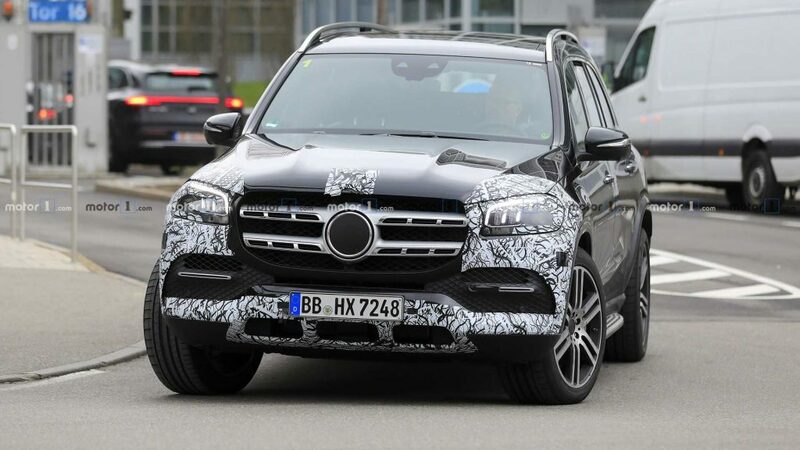 While the previous shots cover the front and rear ends, these new spy shots showed the rounded edges on the front fascia and grille, as well as the shapely LED headlights. At the rear, we found a pair of fake exhaust tops at the lower fascia. There is a lone muffler visible on the left side just behind the bumper but the exhaust is angled down. 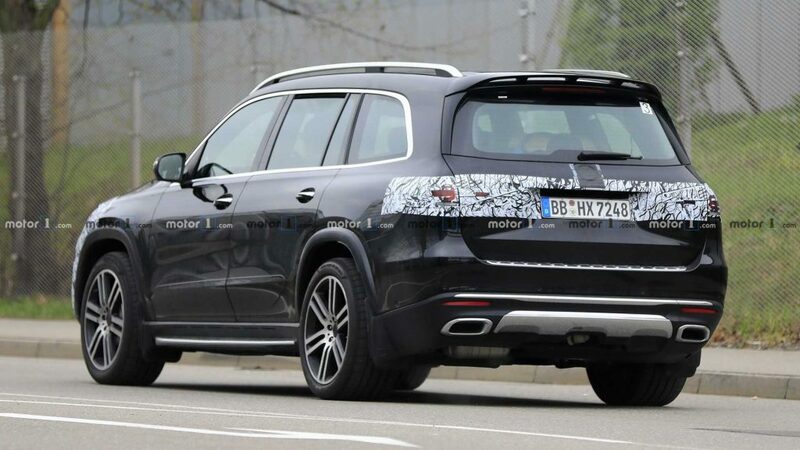 While we don’t have any information yet on the taillight design, we’re bound to find out more about it next week during the auto show. 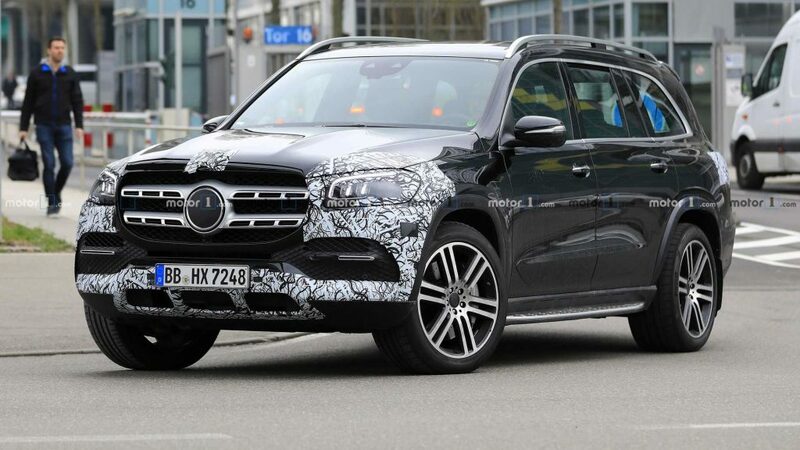 The new GLS-Class is aimed specifically to compete with the BMW X7. 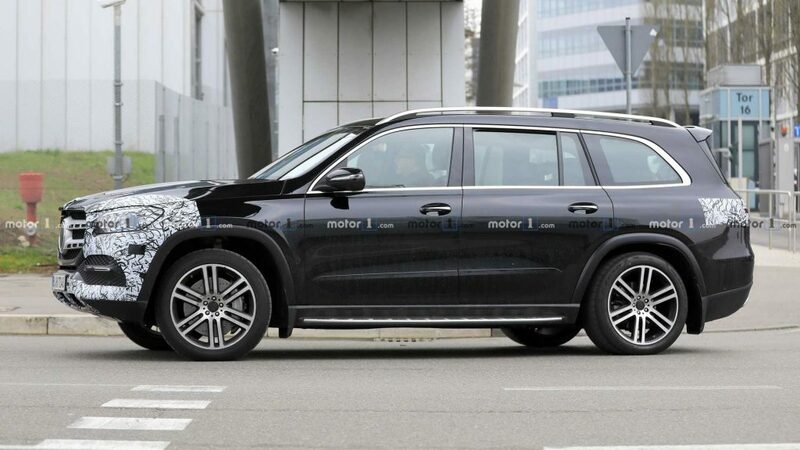 The interior capacity, with its three-row configuration, should be similar to the spacing in the X7. Mercedes plans a performance version that will make 630 horsepower, thanks to a possibly borrowed engine from the AMG GT 4-Door, via its AMG arm. 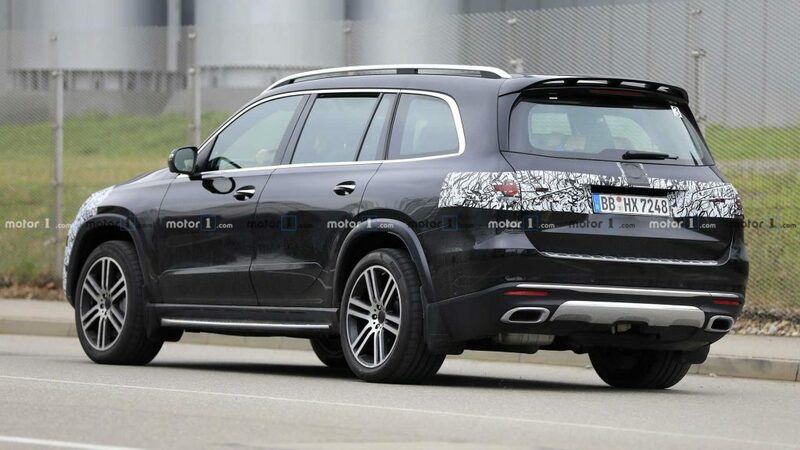 While BMW can also pursue an X7M, we don’t really know any plans for now.